Internet services such as Twitter, Jaiku and Kyte TV are giving rise to a "hyper-connected" generation. 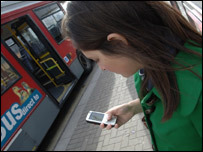 An increasing number of applications has been launched that take advantage of "always on" connections, either over the net or on mobile devices. Users are not just sending texts and e-mails, but are "lifecasting" words and video 24 hours a day. "It's a lifestream of your activities - both in the real world and online," said Jaiku's Jyri Engestrom. "We are seeing the logical continuation of a trend, with services like MySpace, Bebo and Facebook, " he added. Unlike e-mail or a basic SMS message, hyper-connected services are not just one-to-one; messages are "one-to-many", broadcasting via the web, on multiple sites, and on mobile devices as a form of mini-blog. Minute-by-minute accounts of your life and even live video can be posted inside social networks such as MySpace and Bebo, or experienced via a mobile phone. Jaiku is one such "microblogging" service that allows friends to inform each other of their activities across a range of devices. 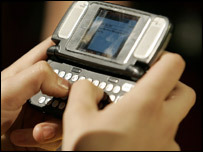 Comments can be sent and received via a mobile or the web. "It's an ambient, not a disruptive service," explained Mr Engestrom. "You can follow the lives of your friends when and how you want - either via your phone, your Jaikiu page or via their blogs and websites." A similar service, Twitter, has received a lot of media attention in recent months. The firm's co-founder, Biz Stone, said: "Twitter keeps you hyper connected but crucially it does not force you to answer back, like an e-mail. There's no expectation of a reply." Mr Stone said Twitter was a device-agnostic, message routing system. "People are very familiar with these tools that connect them online. It's an easy way to connect to your friends through multiple devices which are pretty ubiquitous," he said. It is not just text that is being used to keep people up to date. Video is becoming the new currency to broadcast your life to the globe. Chris Yeh, chief executive of UStream TV, said: "Webcams have been around since the 1990s - but the problem was that it was not mainstream enough. "The webcam era was limited to people sitting at computers or in their room. By having wi-fi and 3G connections, people can broadcast anywhere to anyone." UStream broadcasts video from a digital camera or webcam plugged into a computer over the net. In recent weeks it has been used to provide live video coverage of a number events, including two web conferences. Mr Yeh added: "The next-generation of wireless will be helpful, and soon people will be using their mobile as the capture device. It's always with you and always connected." One firm already letting users broadcast their lives in pictures, text and video via a mobile phone is Kyte TV. Kyte TV users create a live channel - of either pictures or video - which can be seen by potentially thousands of people around the world on the web and on their mobile phones. Co-founder Daniel Graf believes Kyte TV can become a platform to rival traditional television services. "You can have a Kyte TV channel wherever you want - on your mobile, on your blog, on MySpace." Kyte TV users can watch "channels" in real time, swapping instant messages and even voting on the events they are being shown. "It's a platform in which you can collaborate with friends," said Mr Graf. The growth in hyper-connected tools is the result of greater availability of net connections, over wi-fi or 3G mobile networks, and the falling cost of data and bandwidth. "Mobile networks have started to become a reasonable platform on which to develop new services - both over SMS and via the net," said Mr Engestrom. Mr Engestrom said the hyper-connected had given rise to the hyper-honest. "This new generation is much more comfortable with openness and honesty. The young generation are happy to share their lives publicly. "We are surprised that we haven't yet had a single complaint from someone relating to a breach of privacy." He added: "Being-hyper connected will become a precondition for citizenship. "In the same way mobiles are a necessity, in five years time being hyper-connected will become a necessity to be an active participant in the social world."